Introduction: High-resolution, artefact-free and accurately annotated physiological data are desirable in patients with brain injury both to inform clinical decision-making and for intelligent analysis of the data in applications such as predictive modelling. We have quantified the quality of annotation surrounding artefactual events and propose a factorial switching linear dynamical systems (FSLDS) approach to automatically detect artefact in physiological data collected in the neurological intensive care unit (NICU). 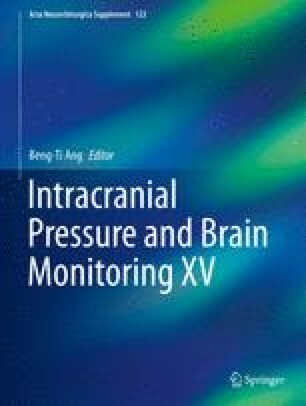 Methods: Retrospective analysis of the BrainIT data set to discover potential hypotensive events corrupted by artefact and identify the annotation of associated clinical interventions. Training of an FSLDS model on clinician-annotated artefactual events in five patients with severe traumatic brain injury. Results: In a subset of 187 patients in the BrainIT database, 26.5 % of potential hypotensive events were abandoned because of artefactual data. Only 30 % of these episodes could be attributed to an annotated clinical intervention. As assessed by the area under the receiver operating characteristic curve metric, FSLDS model performance in automatically identifying the events of blood sampling, arterial line damping and patient handling was 0.978, 0.987 and 0.765, respectively. Discussion: The influence of artefact on physiological data collected in the NICU is a significant problem. This pilot study using an FSLDS approach shows real promise and is under further development. The authors would like to acknowledge the work of the BrainIT group of investigators and participating centres in the BrainIT data set. CH and IP are supported by a grant from the National Institute of Academic Anaesthesia. As stated above, funding from the Chief Scientist Office (Scotland) is supporting the further development of this work.